Air tanker 23 testing over McClellan, August, 2018. Photo by Sergio Maraschin. This year the U.S. Forest Service reduced the number of large air tankers on exclusive use (EU) contracts from 20 in 2017 to only 13. There are an additional 11 large air tankers on call when needed (CWN) contracts which may be activated — if they are available with flight crews and mechanics to staff them. An analysis we completed in February found that the average cost to the government for CWN large air tankers is much more than EU aircraft. The daily rate is 54 percent higher while the hourly rate is 18 percent higher. 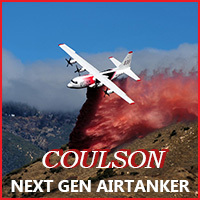 The Forest Service began the solicitation process for additional large and very large CWN air tankers May 30, 2018, but no contracts have been awarded. 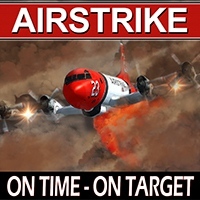 The specifications for both sizes of air tankers were changed six times. The last revision on September 7 occurred three days after protests by 10 Tanker Air Carrier for both solicitations were denied by the Government Accountability Office. 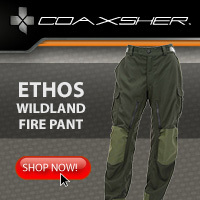 It appears that the contracts will only be awarded after the fire season in most of the western states has wound down. 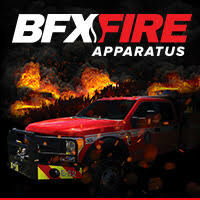 Below is a press release issued October 1 by the American Helicopter Services and Aerial Firefighting Association. 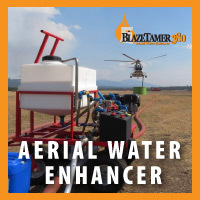 A huge number of exceptionally destructive, back to back wildland fires throughout the Western United States this year is prompting some aerial firefighting companies to add resources, assuming that future fire events will be equally frequent and devastating. At the same time, a few operators see a greater need for long-term, exclusive use contracts with the US Forest Service (USFS)—the domestic industry’s primary customer—in order to assure the funding stability necessary to hire more personnel and purchase additional aircraft, if needed. Awarded on a bid-basis, exclusive use contracts run up to four years in duration, and guarantee a set fee per day, usually over several months, to keep the aircraft available for duty, whether or not it flies. In addition, the customer sets a rate paid for each hour the airplane is flying on a fire. This year, however, the USFS issued more call when needed contracts, in which a day rate, plus a fee per flight hour is paid only for the duration of the assignment, which could be as little as one day. “I would like to see more exclusive use contracts, so we could dedicate more of our fleet to firefighting,” said Josh Beckham, General Manager of Helimax Aviation in Sacramento. Beckham reported that since early April, four of the company’s bucket-equipped CH-47D helicopters worked on fires mostly in Oregon and Montana, and in California, under USFS exclusive use and call when needed contracts; as well as under call when needed contracts with the Oregon Department of Forestry, and the California Department of Forestry and Fire Protection (CAL FIRE). One of the busiest years in its history, Helimax had to dispatch extra mechanics and supplies to support the additional hours the helicopters flew. In preparation for next year’s fire season, Helimax, which has three avionics mechanics, plans to increase that number by eight for field repairs, Beckham reported. For Intermountain Helicopter, a Sonora, California-based operator of a single Bell 212, the 2018 fire season has been its “busiest since 1984, in terms of assignments,” according to company President Rick Livingston. This year, he said, the helicopter has operated in an initial attack mode, solely within California under USFS and CAL FIRE call when needed contracts. One of the assignments kept the aircraft flying for over a month on the Carr Fire, one of the state’s most destructive. Dan Snyder, Chief Operating Officer, of Neptune Aviation Services in Missoula, Montana, reported that his company, which operates nine BAe 146 fixed wing airtankers, responded to the fires this year, with four aircraft under call when needed contracts, in addition to those under exclusive use. 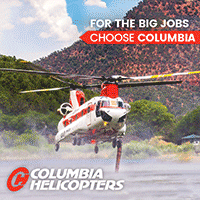 Portland, Oregon-headquartered Columbia Helicopters deployed a fleet of six helicopters, mostly in the Pacific Northwest, under exclusive use and call when need USFS contracts, according to Keith Saylor, the company’s Director of Commercial Operations. One helicopter, a Columbia Helicopters Model 234, working under a USFS exclusive use contract, operated on the Mendocino Complex fire, which was California’s largest to date. Because of the heavy fire activity, the company had to escalate both the flight and maintenance support of its operations. “This meant sending additional people and components to support the helicopters in the field,” Saylor remarked. Saylor called the 2018 fire season an “above average year for assignments to fires”. However, he reported that going forward, the company will do more prepositioning of its helicopters, as they become available for call when needed contracts—which he said have worked out well for the company, given its diversity of work. “We look at maps and forecasts to determine the most likely places for high fire risk, then position the aircraft in those areas,” he explained. The contract was effective April 6. Above: A Bell 205A-1 Type 2 helicopter lands at the Salmon, Idaho helitack base while working on wildfires in the area, July 28, 2016. Photo by Bill Gabbert. New exclusive use contracts have been awarded for 34 Type 2 firefighting helicopters. Announced by FedBizOps on April 6, the duration is for one base year through April 30, 2019, with the possibility of 3 one-year renewal option periods. 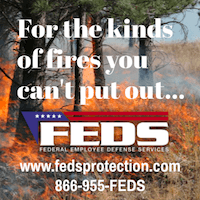 The U.S. Forest Service has shown by how they manage the air tanker and Type 1 helicopter contracts that the option periods are definitely not a sure thing after cutting those aircraft during recent optional years. All of the Type 2 helicopters are Bell products: 205, 210, and 212. The daily availability rates range from $5,500 to $8,800 while the hourly rates are $1,884 to $2,175. The last Type 2 exclusive use contract awarded in December, 2013 for 31 helicopters also specified one base year with three optional years. The contract before that was for 33 helicopters. The Forest Service also has helicopters on Call When Needed contracts, on the hope that they will be available when the phone rings. CWN aircraft, both fixed and rotor wing, cost more than exclusive use ships. For example, the 2017 average daily rate for large federal call when needed air tankers was 54 percent higher than aircraft on exclusive use contracts. Incident Command System specifications for helicopters. Interagency Helicopter Operations Guide, 2016.